Life BDDG – Before Dopey, Doc & Grumpy. A new dwarf has been rumoured by Disney – Cheeky! For never was a story of more woe, than this of Juliet and her gnomeos. Everyone was speculating as to why Sleepy hadn't made it to the reunion but it turned out he'd just overslept. The finalists of the local beauty contest now awaited the public vote, but the bookies were reckoning on a clear winner. Before they were famous: snow white. 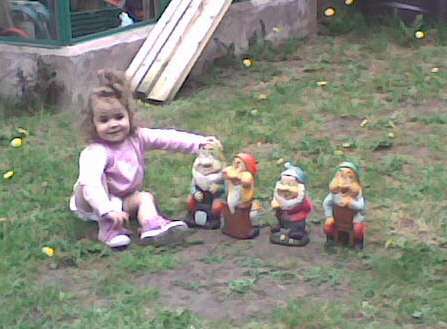 she dreamed of being Snow White but was missing some dwarves!